Mochi is one of the typical foods served during new year’s holidays. Still in many areas, they make mochi at the end of the previous year and use it as offerings to gods, eat it as zoni (special soup for the new year) etc. After new year’s holidays, lots of mochi tend to be left, and there are many mochi recipes. Among them, my favorite way to enjoy mochi is “isobe-yaki (or isobe-maki)” which is one of the most traditonal and popular recipes. It’s quite simple. 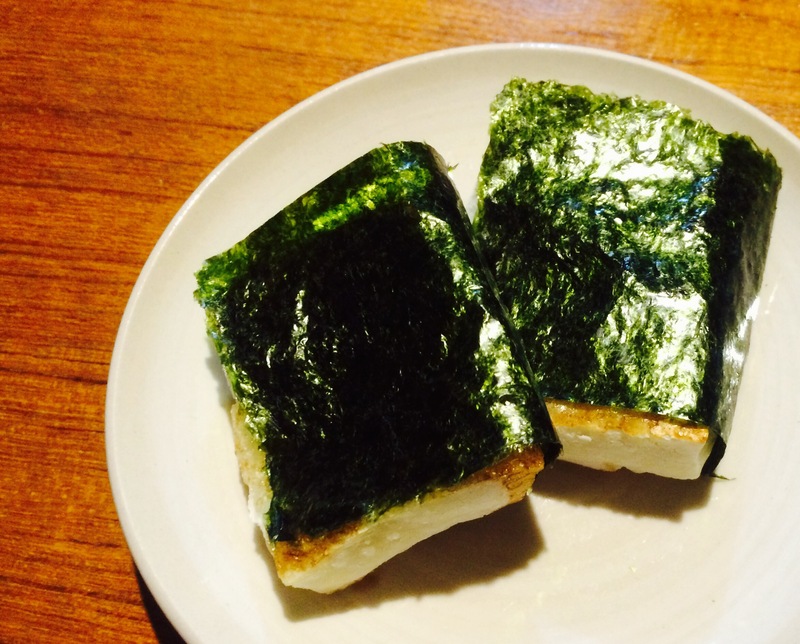 Just bake mochi in the oven till it gets soft and swollen, dip it in soy sauce and wrap it with nori seaweed.